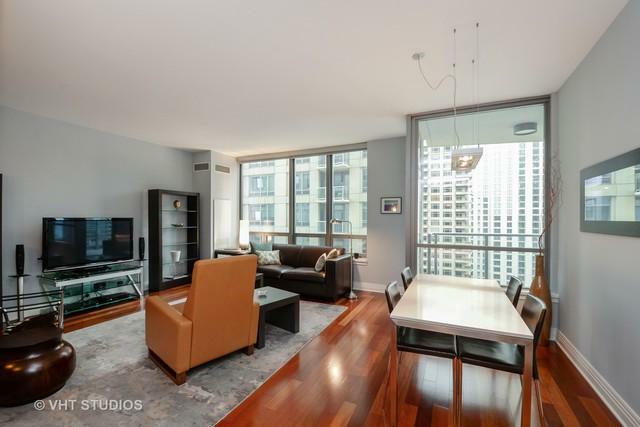 Bright corner condo in perfect condition features split bedroom floorplan with four exposures, high ceilings, contemporary lighting fixtures and rich Brazilian Cherry hardwood floors throughout living area and both bedrooms. 80 square foot south-facing balcony offering views of Lake Michigan, Navy Pier, Bennett Park and sparkling city lights. 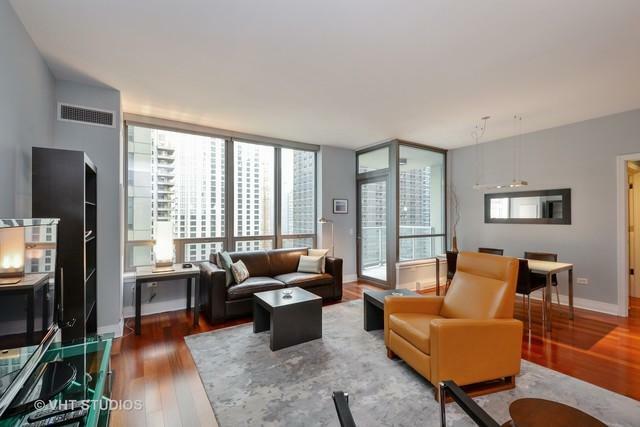 Spacious kitchen with large pass-thru to living area features numerous 42-inch cabs, pantry, upgraded stainless steel appliances (Sub-Zero fridge, Wolf oven/gas stove and Dacor microwave), granite countertops/breakfast bar and subway tile backsplash. Spacious Master Suite with three exposures, walk-in closet and marble bathroom with soaking tub, separate shower, dual sinks and recessed medicine cabinets. Side-by-side washer/dryer. Great storage space with three large closets and two linen closets. Parking in attached heated garage available for $45,000. 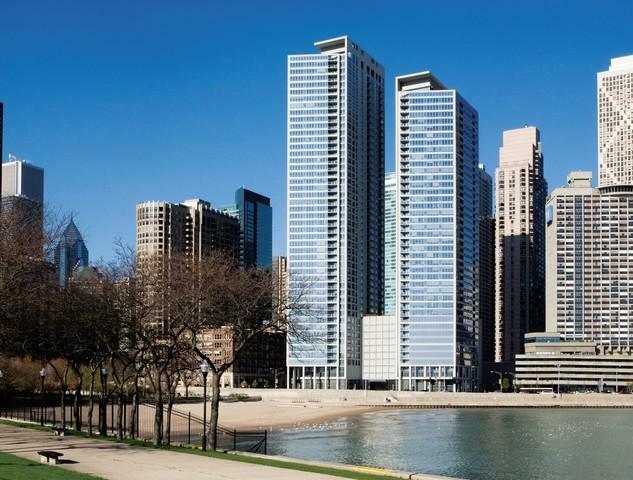 One of Chicago's most popular and well-managed buildings with all the amenities you desire!